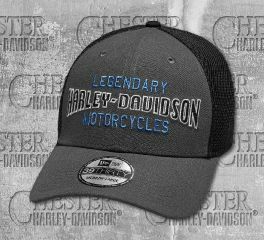 Harley-Davidson® Men's Legendary Colorblocked 39THIRTY® Baseball Cap is made from 95% polyester, 5% spandex. 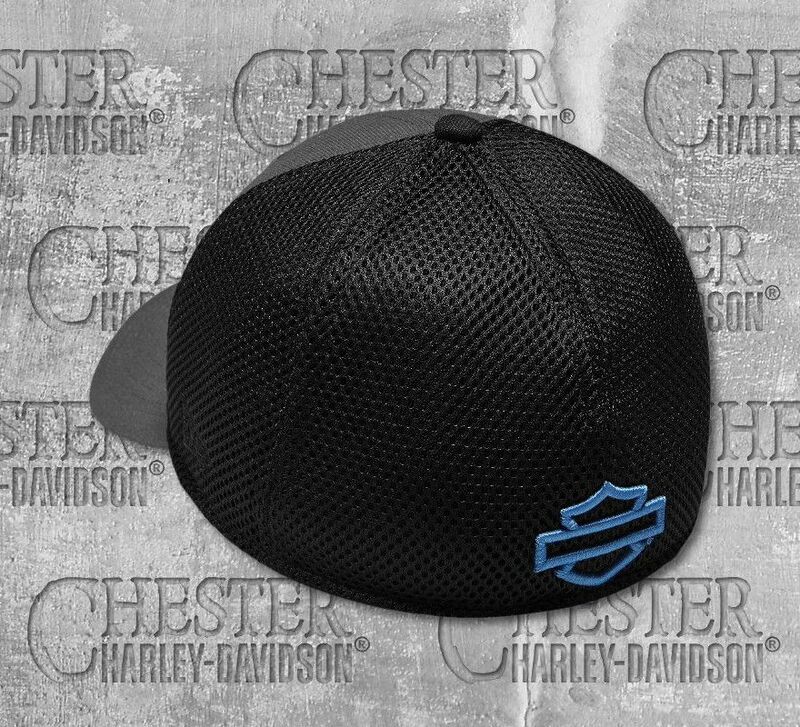 Features an official 39THIRTY® silhouette by New Era with visor sticker for authenticity, contrasting underside of bill, embroidered graphics on front, dimensional embroidered graphics on back, embroidered New Era flag logo on side. Stretch fit.